The WSU Mock Trial Team is a dynamic group of highly motivated students. 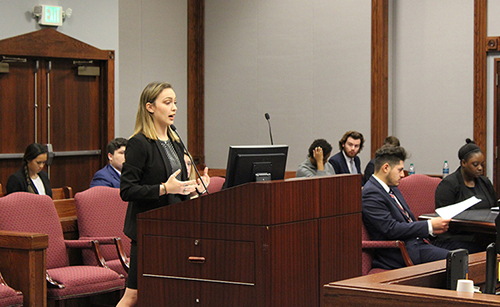 The team is made up of individuals from all majors who work together to master the American Mock Trial Association’s annual case problem and then compete against other colleges and universities from across the United States. 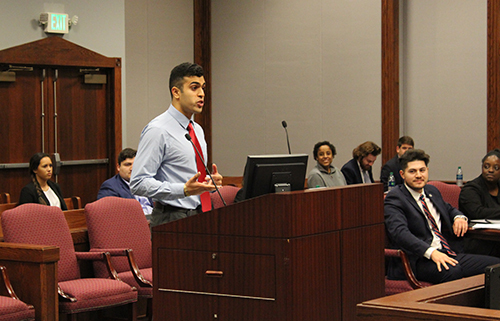 The case problem is a particular scenario running well over a hundred pages that lays out a particular factual event culminating in a court trial. 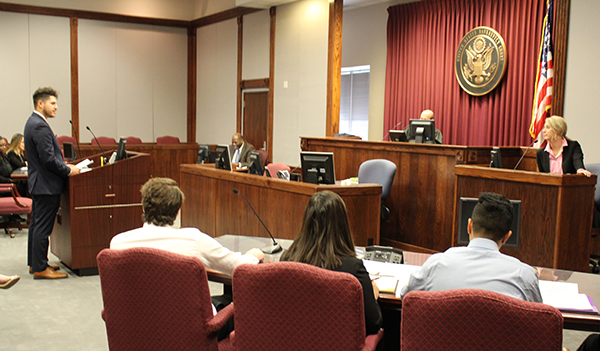 The “problem” is to develop a case theory, build characters from the available witnesses, and put forth the best possible case and argument. 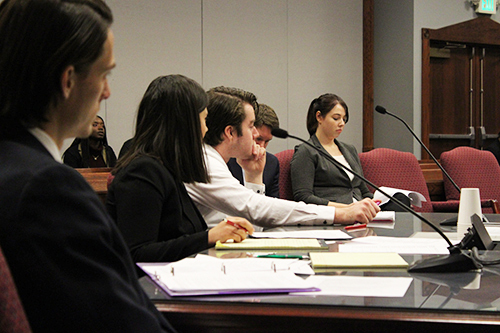 The students must master specific roles as either witnesses or attorney’s. 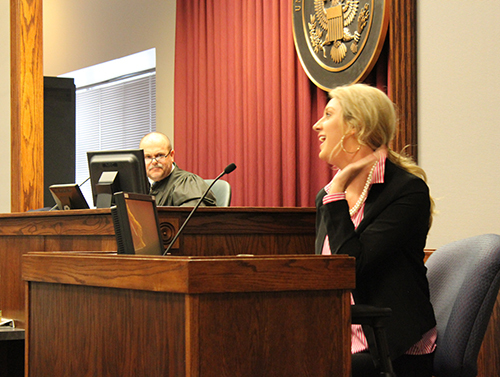 The work is a combination of legal trial practice and theater. 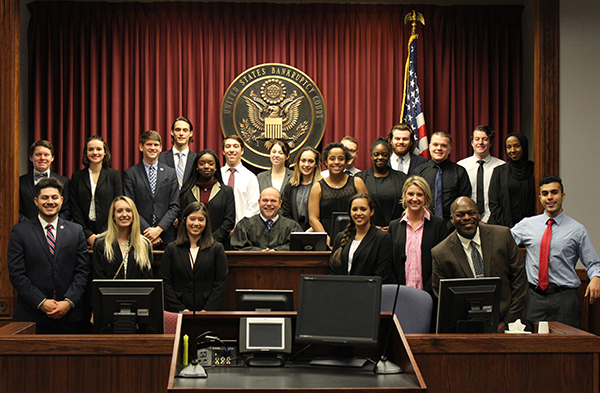 Founded in 2003, the WSU Mock Trial Team quickly established itself in regional competitions as a team to watch, earning the right to compete at national championship tournaments every year since 2006. 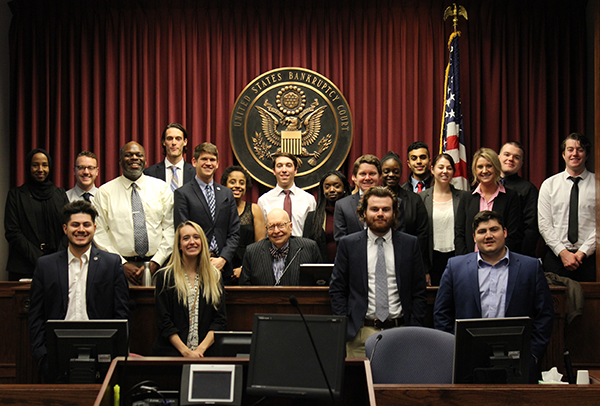 Photographs on this page are from the Mock Trial Team’s 2018 visit and case practice session at the U.S. Bankruptcy Court of the Eastern District of Washington in Yakima, made possible by the generous support of WSU alumnus Judge John Rossmeissl with further support from attorney and alumnus Tim Filer. 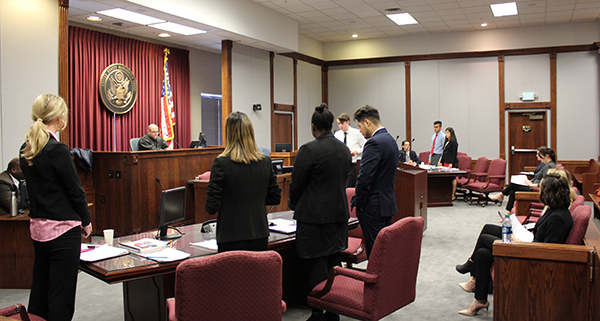 Mock Trial Team members and faculty advisor Aman McLeod in the courtroom with Judge John Rossmeissl. 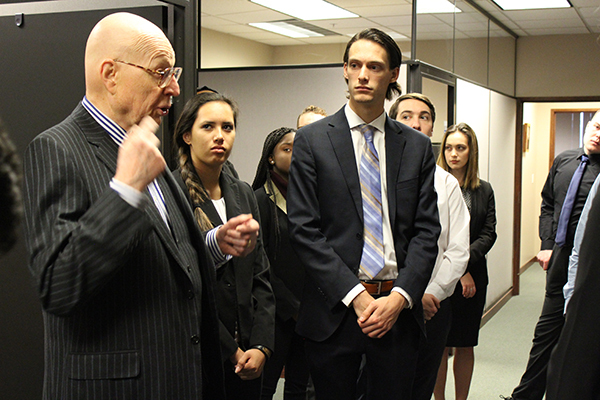 Judge Rossmeissl talks with students outside the courtroom.